Best wishes for 2011 from the glorious Bronze Fonz! Iron Crown Enterprises (the company that produces the venerable role-playing game Rolemaster (of which there are a few variants, including my preferred version, 'Classic,' i.e., '2nd edition'), and which once produced Middle-earth Role-playing) seems to be undergoing a big change of some sort. First, an apology – For too long, resources have been woefully short to fully meet product and service quality as promised to you, our faithful and patient customers. It’s not that our licensee, Mjolnir LLC, run by Bruce and Heike, didn’t have the best of intentions – they did. But they were beset by difficult market conditions in the gaming industry which I’m sure you are all aware of, and combined with the lack of resources, Mjolnir were unable to fully meet your needs. While it is not our place to manage this situation and we are limited in doing so under the license agreement with Mjolnir, we did provide extreme flexibility in terms of foregoing a substantial amount of royalties which provided cash support for Mjolnir LLC to correct this situation, to no avail. 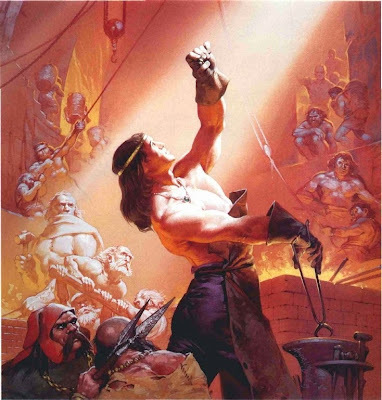 When Aurigas Aldebaron LLC first acquired Iron Crown Enterprises from bankruptcy, it was with the sole intention of supporting a product loved by many, a contender to rival D&D in the 1980’s, a game company known for its exciting criticals and its “true to art” creation of the first Middle Earth -based role playing games. Sure, I hoped to make a little money on it, but really I just wanted, like all role players at one time or another, to write/work/own a game company. I figured it would eventually provide the perfect outlet for retirement from my day job. We have worked with Mjolnir since that time, and though there were ups and downs, we appreciate the contribution they made to the further development of ICE products. It is time, however, for a new chapter to begin. As such, I am pleased to announce some changes at Iron Crown Enterprises. Firstly, Aurigas Aldebaron and its representatives will manage the website and forums. In addition, we plan to manage more actively the sales and marketing of our products, as well as more closely oversee execution of product development and quality, and product deliverability by our licensees. Yes, all products will still be licensed out to creative organizations and as such, we will still only have limited control over the development of the systems and settings (and that’s a good thing to as we are not game creation and development professionals). But the terms of our agreement with our licensees will ensure better performance, and we think that with the freelancing methods’ fully variable cost structure to be employed by Guild Companion, we solve a critical problem plaguing our business – lack of resources – and instead increase the amount of resources brought to bear on the whole of product creation, production and delivery. You will find that the ICE website will continue to be a central hub for all things Iron Crown. You will find links on the ICE website directing you to our licensee sites and to where you can purchase ICE items in PDF or print-on-demand physical copies. ICE will no longer operate its own store. You will be able to find announcements and product advertisements for all ICE products on the central ICE website. We also expect there will be some growing pains and we will make some mistakes along the way – please forgive us and we hope we will get things corrected quickly. At the same time, since this is a new way of operating, we look forward to your suggestions. As you can see, a lot of things are changing, but many things will stay the same. You shouldn't expect a complete overhaul of the website, or major changes to the forum rules, but we do hope you eventually see some big improvements in product releases, product quality and deliverability. In fact, we really view this as the next generation of game company management. We are attempting to cut out the middlemen, or as many of the layers as possible in getting the creative aspect of the game to the people that play it. We want to eliminate central management and distribution as much as possible. If ICE can support game developers through some marketing and web-support, these developers can do what they do best, manage their own small expenses and sell via pdf and print-on-demand, eliminating upfront and fixed costs, which lowers risk and allows for more game product creation. It also ensures that if people work on a product, they get paid from the source upon a sale. 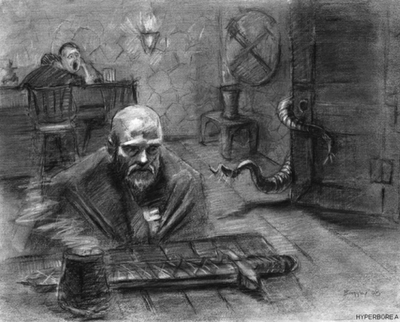 We are also pleased to announce that Guild Companion Publications will be the licensee for our HARP, Rolemaster, Spacemaster and Cyberspace game systems, and, as they do now, be the licensee of the Shadow World background This includes the re-involvement of Terry Amthor, the creator of Shadow World, so we expect big things! . In addition, they will take over management of Cyradon setting as well. ICEVerse as a project is expected to continue, which means RM and HARP fans will have access to a virtual table top program, and hopefully into full-fledged computer games. We are currently in discussions on Bladestorm and the Silent Death game system license Combat Express, However nothing is finalized and we are looking for interest on this license by other parties. We are in discussion with third parties with some of our properties and are currently seeking interested parties to manage the pirates-based Run out the Guns! and Guild Companion will be looking for help on the Cyberspace systems as well. We plan to hold an online Q&A session in the near future and will advise you on the details of this in the near future. That’s all for now. Thanks in advance for your continued patience and support. I've been positively impressed by Guild Companion Publications in the past, so if they're now in charge of the ICE ship -- especially Rolemaster -- that's not a bad thing, in my opinion. Also, there is an interesting thread on this game over at RPG.net here. Brave Halfling Games has the relevant information here. If running a S&W WB game, these PDFs should prove to be quite useful. Over at the 'Beyond the Black Gate' blog, Al has made available (for free!) his 2010 compendium of "new items, houserules, monsters, a new character class, an adventure, PC Events, and more random tables than you can shake a yule log at." My Best X-Mas Gift Ever! I found this fine book under the tree on Christmas day, 1980. I had received the Holmes Basic D&D set for my birthday two months earlier, so I already was addicted. But this book, with its iconic Trampier cover, occupies a special place in my withered heart, as it made me feel as though I had 'graduated' up to 'real' D&D. 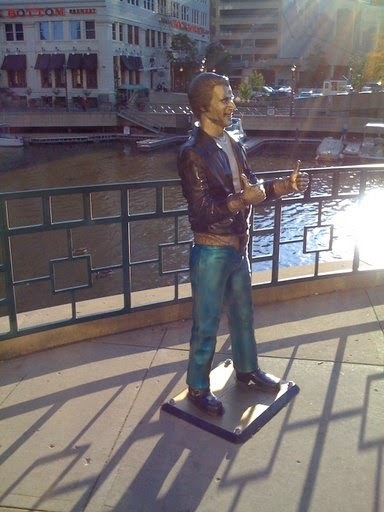 Hard to believe three decades have passed since that fateful morning! Knockspell Magazine: Will be switching to a non-OGL format and re-focusing more toward AD&D than OD&D. Issue #5 will be a transition, since most of what I have for that issue is still OD&D. I'm doing the layout myself, so it will be rougher in appearance than before. Doing the layout myself is also making it go more slowly. 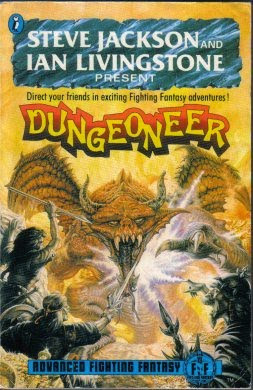 The main reasons for a shift to AD&D is that Fight On! is already doing a great job on OD&D. Not exactly how I would do it (witness different editorial styles in the magazines), but still excellent. The most difficult task for Knockspell has been assembling enough material, largely (I think) because Fight On! draws more of it. That's especially true after the long gap between issues. 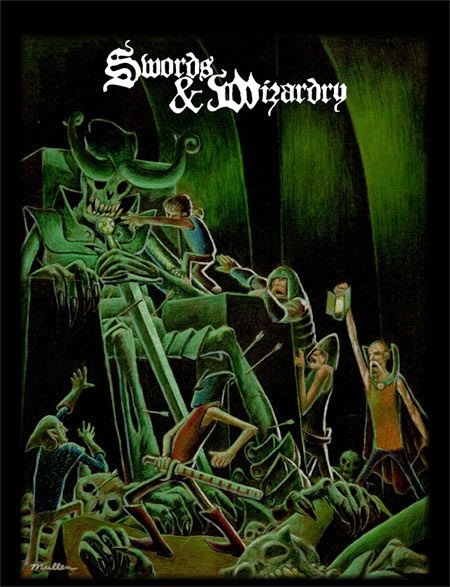 Swords & Wizardry will still have a strong presence in the magazine, but by drawing in AD&D as well, there is a better potential to bring in general articles about gaming as well as articles that are purely resource. This will make it easier for me to put together the magazine. The other option, which would be to make Knockspell purely for S&W, would make it effectively into a "house organ" magazine, which is what killed the quality of White Dwarf. In the long run, I think that would be devastating for the magazine's reach and quality, plus making it more difficult rather than less difficult for me to bring in a full magazine's worth of articles. Based on the comments here, I might back water on some of those proposed changes. I can still retreat from the plan at this point, since Issue#5 is effectively all S&W. However, I don't want it to become just a "house" magazine, and it definitely needs to use up less of my energy or I'd be doing nothing but Knockspell all the time. That's what collapsed me on it in the first place. As a past -- and, hopefully, future -- contributor to Knockspell, my own work will continue to focus on S&W. I've also contributed to Fight On!, which will remain an OD&D-focused publication (although FO publishes articles for a wide range of older games). I'm a fan of 0e/Basic D&D these days, not so much AD&D, so I'm not sure what to make of the new direction that Matt/Mythmere is charting for Knockspell. 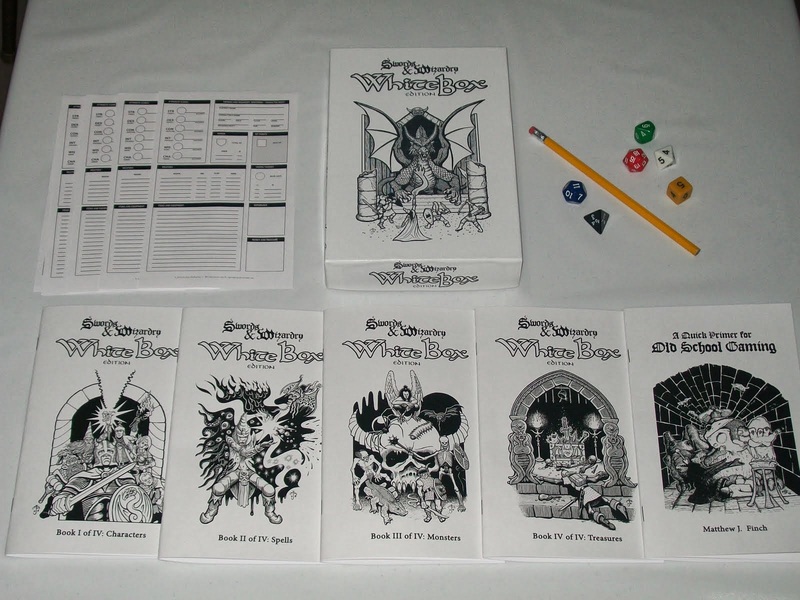 It looks like both S&W and AD&D will be supported, which is great -- and, of course, it is a snap to use AD&D material with S&W (or the other retro-clones), and vice versa. So perhaps this is no big deal. In any case, I look forward to checking out the next issue of Knockspell, and wish the best for Mythmere Games. UPDATE (9:57 EST, December 23)! Based on the feedback from this thread, I think I'm going to keep Knockspell as an OGL publication. 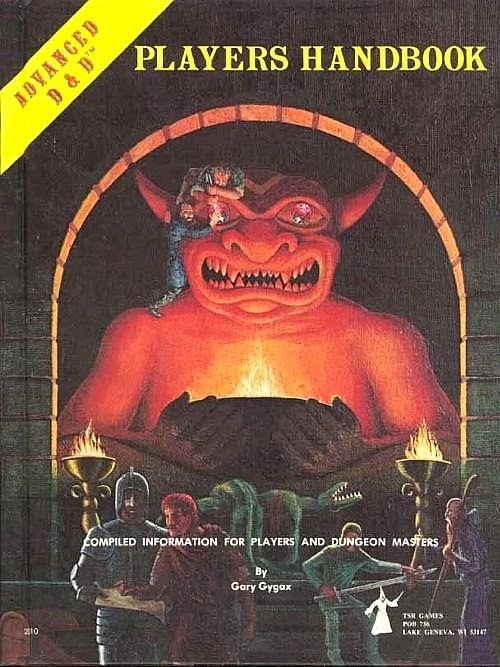 The various comments make sense, and I suppose the benefit of getting more authors from calling it "AD&D" wouldn't offset the downside of having open game content. As to the increased focus on (what will now be called OSRIC and/or "First Edition" because of the above), that's still in play with the understanding that it DOESN'T mean S&W won't be in there, it means that I will include material in an OSRIC format if that's what the author wrote or wants, rather than treating S&W as if it's a universal format. A lesson of time is that people for the most part simply don't accept the idea that any sort of format is universal. Or at least, if they do, there is still a much stronger preference than I had thought for having one's particular set of stats used. If I were to switch Knockspell to a purely S&W format, I'm certain that it would lead to a smaller page count, and when you're selling on lulu you get a worse and worse value as page count decreases. Most of the built-in cost is from their setup fee, not from adding additional pages. I could do a smaller magazine if I were willing to print a digest-sized little 'zine and mail it out myself, but I never handle money or commit to shipping things because those are both areas where my disorders can cause me to drop the ball in a big, big way. 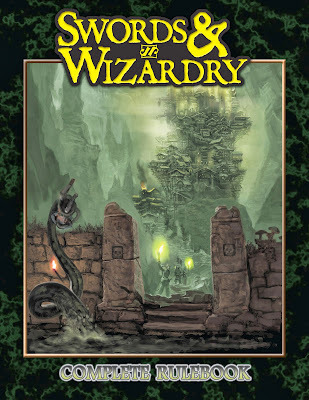 I recently received the PDF for the Swords & Wizardry Complete Rulebook, and am eagerly awaiting the arrival of the three physical copies that I recently ordered (two softcover, one hardcover). Sadly, it is exceedingly unlikely that I will receive them before the (exhausting and family-intensive) annual Saturnalia and Festivus activities. Unsurprisingly, I think that the S&W Complete rules are great (I already was a huge fan of the original S&W Core rules, so much so that I penned a few S&W articles for Knockspell). I have some very, very minor quibbles about some of the rules choices that Matt Finch made for his interpretation of the 'Ye Olde Game' (which I may outline in a future post, time permitting). 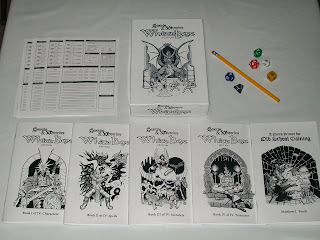 Nonetheless, overall, S&W remains my favourite incarnation of D&D around these days -- the 'Complete' rules only add to what already was a great game, without creating any unpleasant bloat. My one real complaint with this new version of S&W is that the wonderful picture created by Pete Mullen (displayed above) no longer graces the cover. Now, don't get me wrong -- I think that the new cover by Rick Sardinha is excellent (and I am, in general, a fan of Sardinha's work). However, the new cover simply lacks the distinctive, quirky charm of Mullen's work. I'm not sure why Frog God Games thought it necessary to abandon the original cover. That complaint aside, though, I urge you to check out S&W Complete. It's full of great stuff. Fight On! 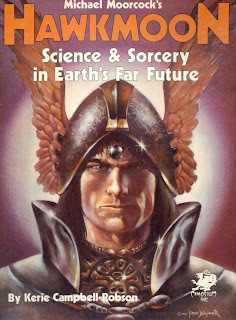 Advanced Fighting Fantasy Returning in 2011! It looks like the Advanced Fighting Fantasy game will be back in 2011! In addition, Out of the Pit and Titan will be reissued. I still own my copy of the original Fighting Fantasy RPG and about eight Fighting Fantasy solo adventure books (including the original Warlock of Firetop Mountain adventure). However, I missed picking up the 'Advanced' version decades ago. It's great that these books will be made available again! The announcement can be found here (but, frustratingly, not much additional information). Another fine OpenQuest product from Newt Newport, with another great cover by Jon Hodgson, is now available! Here is the description at the d101 website. It is available from Lulu here. 'Geordie Racer' has a brief but helpful review here. 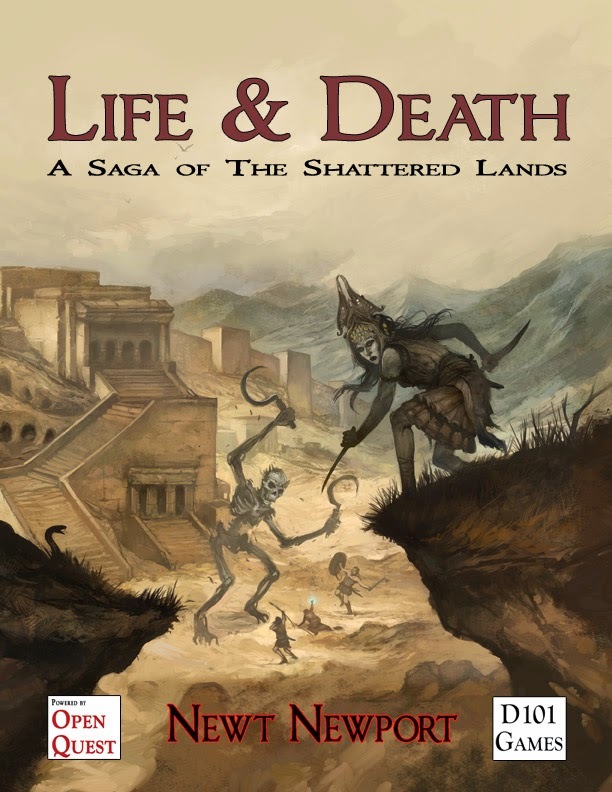 I have the PDF of Life & Death, and the print version is in the mail. Based on a quick skim, it looks very cool -- much more of a 'sandbox' than Newt's earlier OpenQuest adventure setting, The Savage North (which I think is also very good). I'll try to post more thoughts once I have a chance to give Life & Death a proper read (which, sadly, will not be for at least a few weeks, as I presently am overwhelmed with end-of-term grading responsibilities). Lots of good stuff for only 1 Euro (1.34 USD) each. I especially recommend Death Frost Doom. The sale ends on the 12th. The actual sale is here. Last week, James Maliszewski of 'Grognardia' fame posted a 'retrospective' on the Hawkmoon RPG (published by Chaosium in 1986). 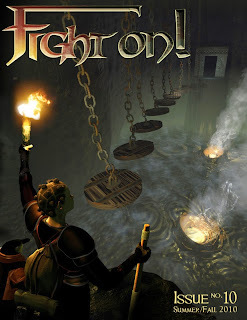 Since I've been thinking about BRP (and BRP-related games, such as RuneQuest and OpenQuest) quite a bit lately, I thought that I would share a few of my own thoughts on the game and its setting. I ran a Hawkmoon campaign during the summer of 1989, and found it to be an eminently enjoyable experience. It was the final role-playing campaign that I ever ran for my 'high-school' group (I already had completed my first year of university, as I went a year earlier than most of my peers, but the rest of the group had just finished up high-school). Consequently, my recollection of the campaign is tinged with a bit of nostalgia. It also was the first BRP campaign that I ever ran (although I had been a player in a few sessions of Call of Cthulhu before the summer of '89). And since the Cold War was still going strong -- nobody was expecting the Eastern Bloc to crumble in only a few months -- the post-apocalyptic setting resonated with us and our fears of imminent nuclear holocaust (we were sensitive souls, alas). I had planned to run the Shattered Isle campaign, which is the only supplement published by Chaosium for Hawkmoon. Instead, I simply ran the scenario included with the core rules, and a few homemade scenarios. Nothing about them strike me as especially inspired in retrospect, but the unique combination of magic and science gave them a distinctive flavour. Indeed, because of the setting's unconventional nature ('science fantasy'), and its familiar 'real world' references (far-future Europe), Hawkmoon was a refreshing change from the Middle-earth campaigns that I had run throughout most of the late 1980s (using ICE's MERP system, of course). I still own the game, and think about running it again, from time to time. Having lived in Ireland for three years (2005-2008), I would especially be interested in running The Shattered Isle, as it pits Hibernian rebels against the oppressive forces of the malevolent Granbretan Empire (of course, there's more to it than that!). It would be fun to draw on my real life knowledge of the isle (and photographs) to run such a fantasy campaign. As for Moorcock's character 'Hawkmoon,' I find him to be rather shallow and uninteresting. Instead, I much prefer Corum. Indeed, I find the Corum tales to be superior to those featuring either Elric or Hawkmoon (especially compelling, in my judgement, is the way in which Moorcock draws on Celtic mythology in the second Corum trilogy). Nonetheless, the 'Tragic Millennium' is a great setting: it is familiar yet exotic, and provides ample opportunity for adventure. 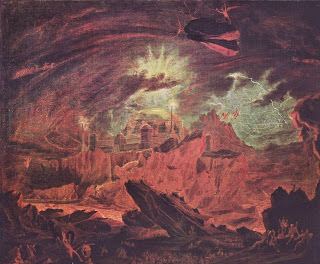 Moreover, unlike the 'Young Kingdoms,' the players can adventure in the world of Hawkmoon without the knowledge that the whole place is going to be destroyed in a few years hanging over them! Indeed, this difference was the main reason why I picked up Hawkmoon instead of Stormbringer 22 years ago. ... is where this blog will be for at least a week, as I'm swamped with 'real life' matters (travel, work, etc.). I’ve been working my way through the core Clockwork and Chivalry book over the past couple of weeks, and I think that this is the best new setting for any RPG in years. But don’t take my word for it. Read this review of the core book. There also are now reviews of the first two adventure modules for the setting: The Alchemist’s Wife and Though Shalt Not Suffer. Hopefully the lives of the characters will not be too "poor, nasty, brutish, and short"! Incredible as it may seem, one of the greatest scientific minds of the time, Dr John Wilkins, a founder of the Royal Society, was planning his own lunar mission four centuries ago around the time of the English Civil War. It wasn’t hot air either. 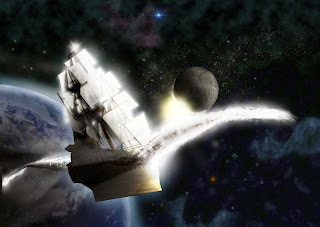 Inspired by the great voyages of discovery around the globe by Columbus, Drake and Magellan, Dr Wilkins imagined that it would just be another small step to reach the Moon. 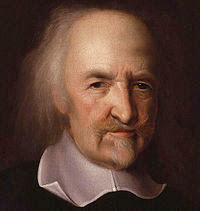 Wilkins, who was a brother-in-law of Oliver Cromwell, explored the possibilities in two books. Records show he began exploring prototypes for spaceships, or flying chariots as he called them, to carry the astronauts. The Jacobean space programme, as Oxford science historian Dr Allan Chapman calls it, flourished because this was a golden period for science. Huge discoveries had been made in geography, astronomy and anatomy. 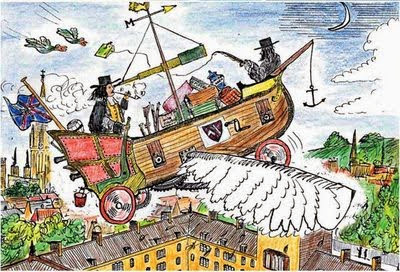 Seventeenth century scientists were riding a wave. I wonder if the thoughts of Dr Wilkins on space travel form the basis for the forthcoming 'Quintessence' Clockwork & Chivalry adventure module? Below is the cover for that module (from here). 17th Century gentlemen journeying to the Moon, clashing with hostile native 'Selenites'? Sounds like good fun! A very lazy post from yours truly to announce simply that issue 10 of Fight On! is now available. Once again, Fight On! returns to unscroll the Runes of Chaos and conjure the mighty titans of yesteryear! Dedicated to Tom Moldvay, this BIG issue contains three BIG undercities and lost worlds by Gabor Lux, James Mishler, and Chris Robert, right alongside the rules supplements, mini-adventures and modules, villages, one-page dungeons, spells, monsters, NPCs, tricks, traps, geomorphs, reviews, and tables you've come to know, love, and expect from our fantastic fanzine. Illustriously illustrated by Patrick Farley, Jennifer Weigel, Lester, Kelvin Green, Jason Sholtis, Peter Mullen, Mark Allen, Anthony Stiller, Steve Robertson, and more; puissantly penned by Jeff Rients, Calithena, Jerry Stratton, Tim Snider, Geoff McKinney, Patrice Crespy, Peter Schmidt Jensen, Paul Stormberg, Geoffrey O. Dale, Tim Kask, and a whole gang of garrulous grognards trying to take it (their PC, that is) to the next level. We hope you'll roll the bones on this issue and check it out - but either way, keep Fighting On! Original saving throw numbers are listed as a chart in a side-box in case people want to use those. I’ve long been a huge fan of J.R.R. Tolkien’s Middle-earth (as evidenced by past posts like this one and this one). 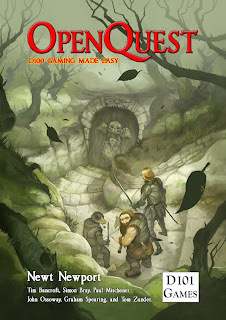 I’m also a (relatively new) fan of the d100 game OpenQuest (see, for instance, my comments here). The ‘Old School Renaissance’, at least with respect to D&D and AD&D, is a well known and (by now) a well-established phenomenon within our strange little hobby. However, it seems that the gaming community is in the midst of another renaissance, namely, a renaissance of ‘Basic Role-playing’ (‘BRP’) or ‘d100’ games and settings. BRP-based games never ceased being published altogether by (at least one) professional RPG company, unlike ‘classic’ D&D and AD&D (0e, Basic, and 1e). 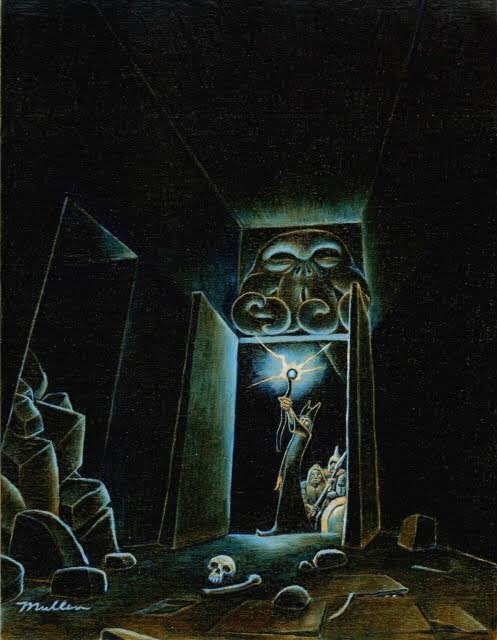 And even though Chaosium, like many other RPG companies, had a ‘near death’ experience during the 1990s, it never actually went under. Impressively, Chaosium’s role-playing games always have been ‘powered’ by BRP, the essentials of which have remained largely unchanged for three decades now. These days, though, things look dramatically improved for BRP! 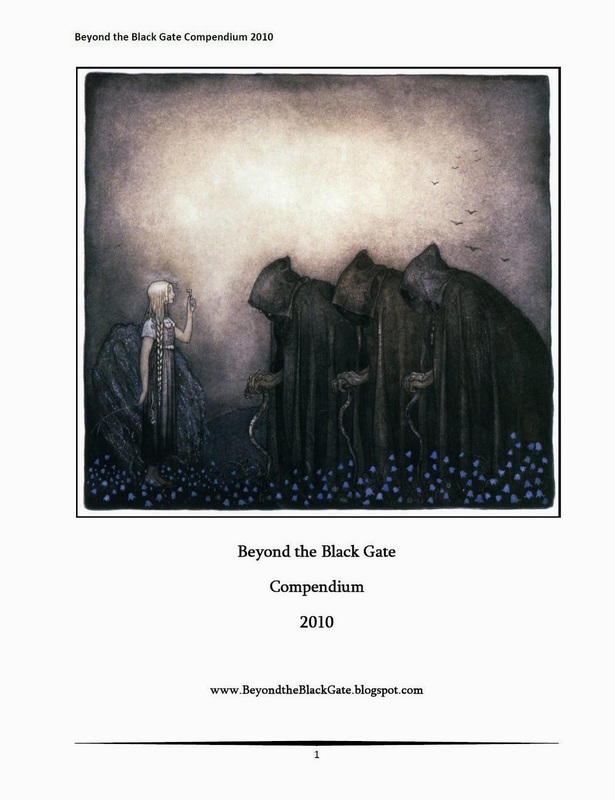 Chaosium published a complete ‘core book’ for BRP in 2008. It includes the core BRP rules, as well as most of the optional rules found in various BRP games and supplements published by Chaosium over its long history. 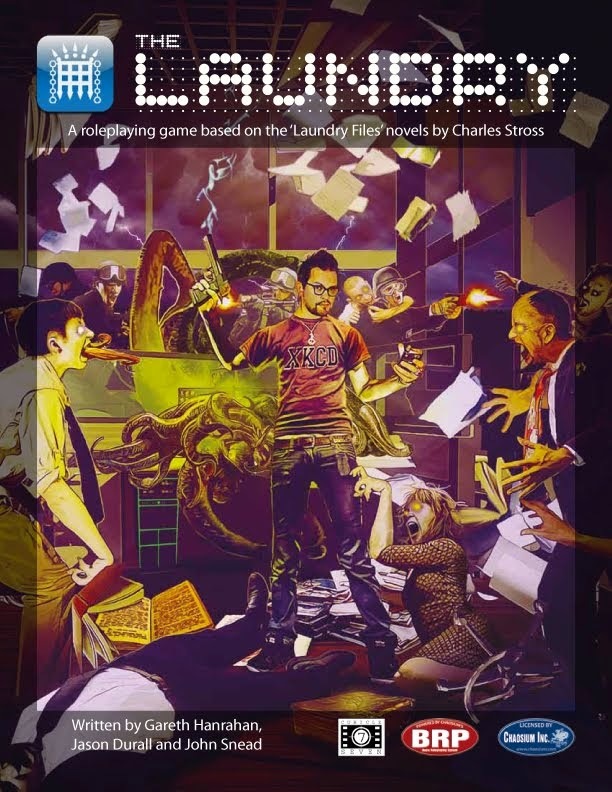 Call of Cthulhu, of course, continues to be supported by Chaosium, as well as some other companies, such as Goodman Games. Alphetar Games has published a number of books for BRP, including what I believe must be the best single RPG book on ‘Rome’ ever published. And although out of print, most of Chaosium’s back catalogue of Stormbringer (first and fourth editions), Elric!, and Hawkmoon materials are now available in PDF (thanks to an arrangement with Mongoose Games). 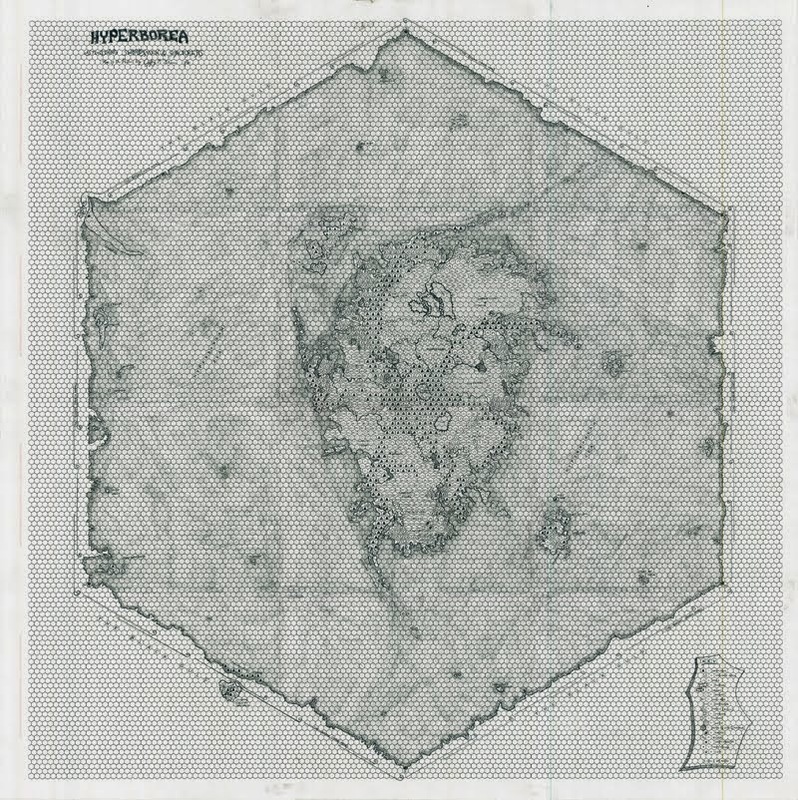 Then we have Mongoose Games’ RuneQuest II. My impression is that Mongoose’s first attempt to resurrect RuneQuest was something less than a ringing success. I know that I decided against purchasing anything for MRQ when I skimmed through the initial book. Subsequent reviews confirmed my early negative judgement. Moreover, Mongoose’s long record of poor editing and spotty quality control in their books made me decide against giving MRQ a shot. Probably my favourite new BRP setting produced in recent years is Clockwork & Chivalry – a MRQII campaign book published by Cubicle 7 that describes an ‘alternative history’ version of 17th Century England. I drooled in anticipation over this setting in this post. Now that I’ve received the book and looked through it, I believe that my earlier enthusiasm has been entirely vindicated. Last – but certainly not least! 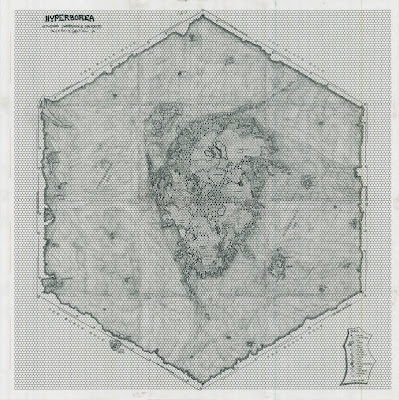 – there is RuneQuest’s ‘lighter’ and ‘simpler’ cousin OpenQuest, written and supported by a friend of this blog, Newt Newport. I’ve raved about OQ in past posts here, so I shall refrain from doing so again now. However, interested readers may want to look at my comparison of MRQII and OQ.